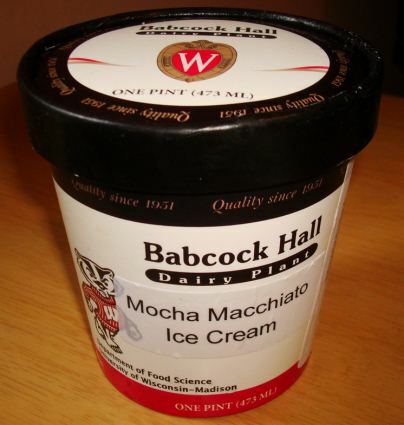 [By Nick] Back when I purchased Babcock Hall’s Mint Chocolate Cookie, I also added their Mocha Macchiato to my order. You guys know I’m iffy on both coffee and mint flavored ice cream but Babcock Hall regularly rotates those flavors so I was allured into trying their current options. 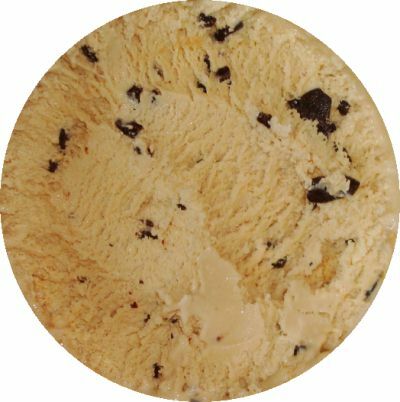 According to ice cream source it’s just coffee ice cream with chocolate in it but scanning over the ingredients list there is also mention of caramel in the mix. Now I’m a big fan of caramel so I’m excited to open this pint up and see what is truly going on in there. Well that’s certainly not what I was expecting. 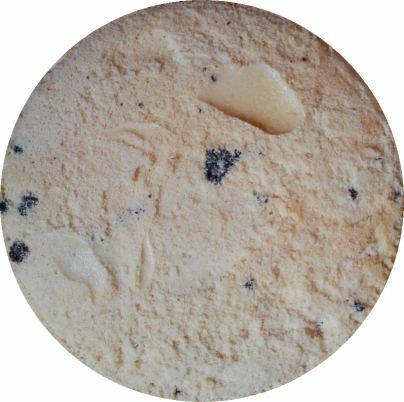 The base has a tan color that is more reminiscent of caramel instead of the advertised mocha. Besides a couple of chocolate chips peeking out, not much else seems to be going on. Digging into the base, I realize that just like its color, this pint is also light on coffee flavor. It’s there but more along the lines of someone who dilutes their cup of coffee with cream and sugar. I’m not complaining though, it provides a pleasant taste that’s nowhere near overpowering. The lack of bitterness in the base actually works nicely. The chocolate flakes, which are now very abundant, added a bit of depth as well as some bitterness to make up for it. The caramel swirl has to be my favorite part of this whole ice cream. Sure it showed up randomly and wasn’t as prevalent as I would’ve like but when it's the there the bites were perfect. The caramel added extra sweetness but was restrained by being burnt to the right point. There’s nothing worse than a caramel that is either a) undercooked leading to it being too sweet or b) overcooked in which it just tastes burnt. This caramel strikes a happy medium between the two and I only wish there was more of it. Buy Again? If I ever have the opportunity again, I definitely would.